Your name, email address, age, user name, password and other registration information. Transaction-related information, such as when you make purchases, respond to any offers, or download or use applications from us. Credit card information for purchase and use of the Application. We may also use the information you have provided us with to contact you from time to time to provide you with important information, required notices and marketing promotions. In addition, the Application may collect certain information automatically, including, but not limited to, the type of mobile device‘s you use, your mobile devices unique device ID, the IP address of your mobile device, your mobile operating system, the type of mobile internet browsers you use, and information about the way you use the Application. Does the Application collect precise real-time location information for the device? 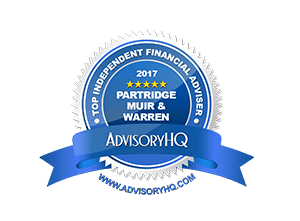 If Partridge Muir & Warren is involved in a merger, acquisition, or sale of all or a portion of its assets, you will be notified via email and/or a prominent notice on our Website of any change in ownership or uses of this information, as well as any choices you may have regarding this information. You can stop all collection of information by the Application easily by uninstalling the Application. You may use the standard uninstall processes as may be available as part of your mobile device or via the mobile application marketplace or network. You can also request to opt-out via email, at mail@pmw.co.uk. We will retain User Provided information for as long as you use the Application and for a reasonable time thereafter. We will retain Automatically Collected information for up to 24 months and thereafter may store it in aggregate. 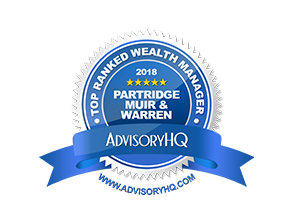 If you would like us to delete User Provided Data that you have provided via the Application, please contact us at mail@pmw.co.uk and we will respond in a reasonable time. Please note that some or all of the User Provided information may be required in order for the Application to function properly. We do not use the Application to knowingly solicit data from or market to children under the age of 13. If a parent or guardian becomes aware that his or her child has provided us with information without their consent, he or she should contact us at mail@pmw.co.uk. We will delete such information from our files within a reasonable time. We are concerned about safeguarding the confidentiality of your information. We provide physical, electronic and procedural safeguards to protect information we process and maintain. For example, we limit access to this information to authorised employees and contractors who need to know that information in order to operate, develop or improve our Application. Please be aware that, although we endeavour to provide reasonable security for information we process and maintain, no security system can prevent all potential security breaches.